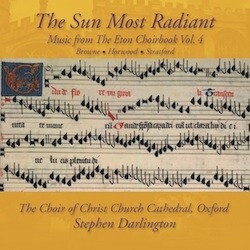 This collection of music from the Eton Choirbook, the vast collection of English sacred music from the early Renaissance, is the fourth in an acclaimed series by Stephen Darlington and The Choir of Christ Church Cathedral, Oxford which has proved to be a thrilling encounter with the remarkable world of the liturgy of Eton College Chapel in the late 15th century. 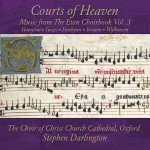 This sumptuous volume includes the first recording of John Browne’s second setting of the Salve Regina. This music was firmly rooted in the daily devotional life of the College, appreciated by all and not just a worshipping élite. 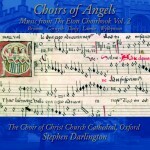 The boys and men of Christ Church Cathedral choir maintain this tradition with a special affinity for this glorious repertoire and deliver performances of unreserved committment.